Nikon UC-E6 USB Cable is a lightweight, convenient and durable cable that is designed for Select Nikon Digital Cameras. It is 4.5-inches long cable that download images from your digital camera to your computer with this USB Cable. It feature a high grade material construction for durability and precise functionality. 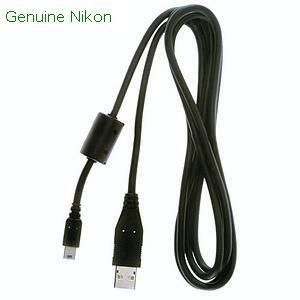 For more information about, Nikon UC-E6 USB Cable for Nikon Coolpix 2100, 3100, 4100, 4200, website.